A late, fifth-inning rally on Saturday in Puerto Vallarta, Mexico helped the UNC softball team pick up its first victory in three tries so far in 2019–as the Tar Heels defeated the BYU Cougars 5-4 as part of the Puerto Vallarta College Challenge. The Cougars (1-3) had built a 4-1 lead heading into the bottom of the fifth inning, but the Tar Heels managed to score four runs in the frame to take control of the game for good. 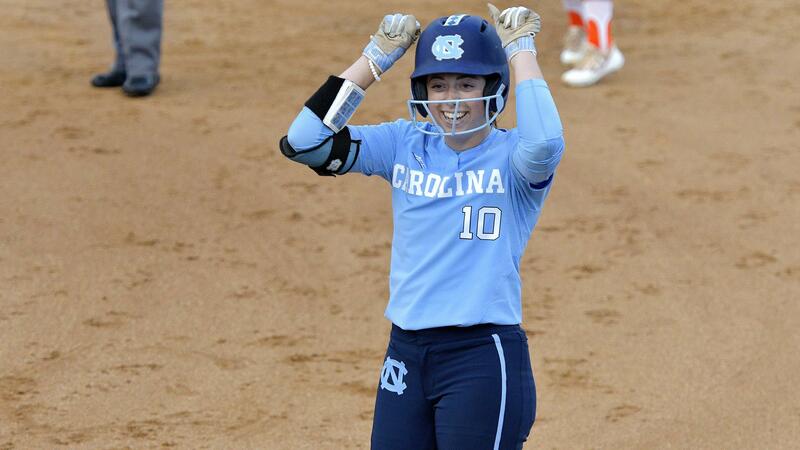 An RBI groundout from Kiani Ramsey got the scoring started in the inning, followed by a three-run homer from Kristina Burkhardt that put UNC in the lead. Over the final two innings, Brittany Pickett came on to pitch in relief for UNC and was able to seal the deal with four strikeouts on the seven batters she faced–earning her ninth career save, two shy of the all-time school record. The Tar Heels will finish up their time in Mexico on Sunday with a game against South Carolina at 10 a.m.